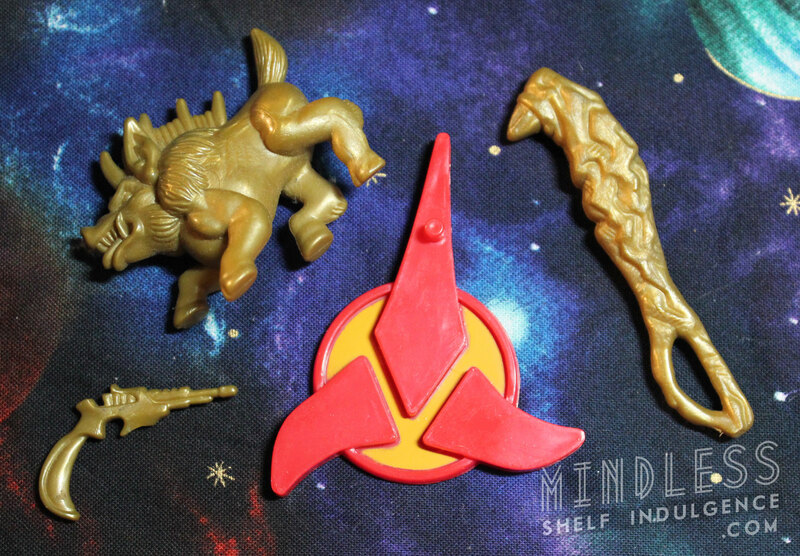 Gowron includes gold accessories : a Klingon pistol, a club, and a Targ. Second photo is missing a gold staff. 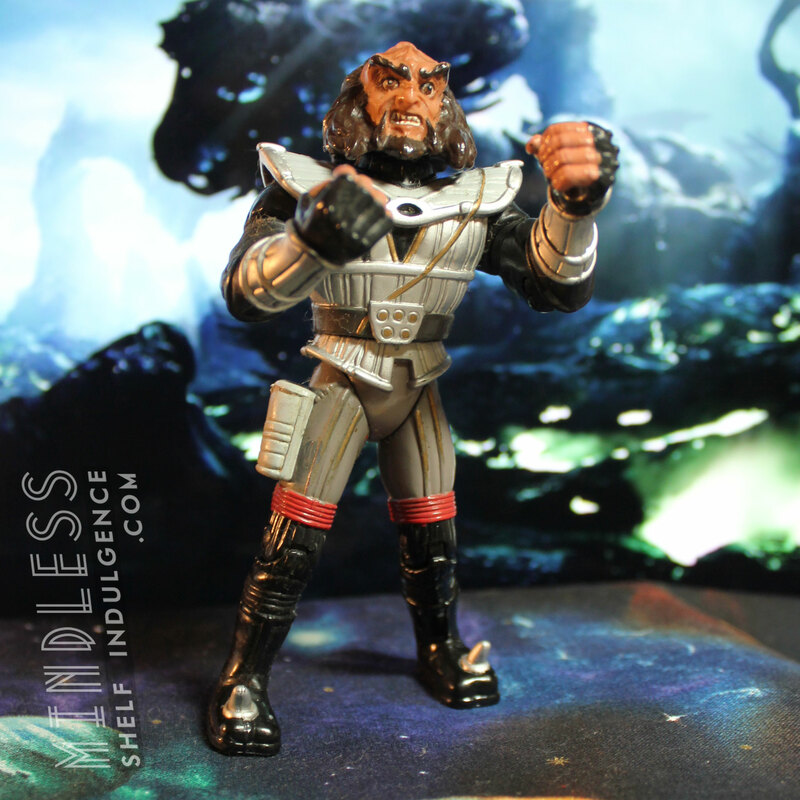 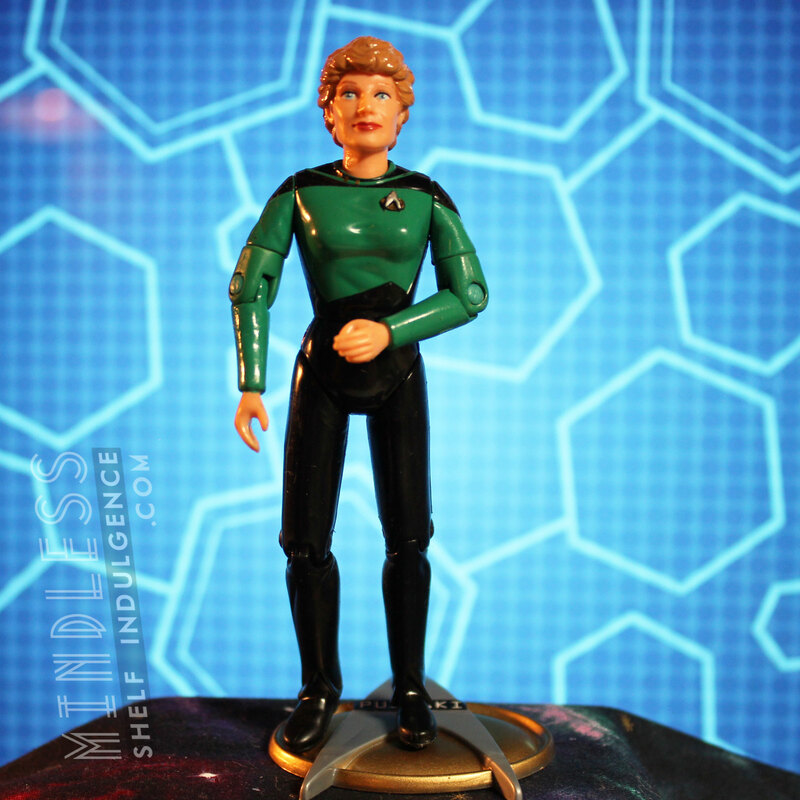 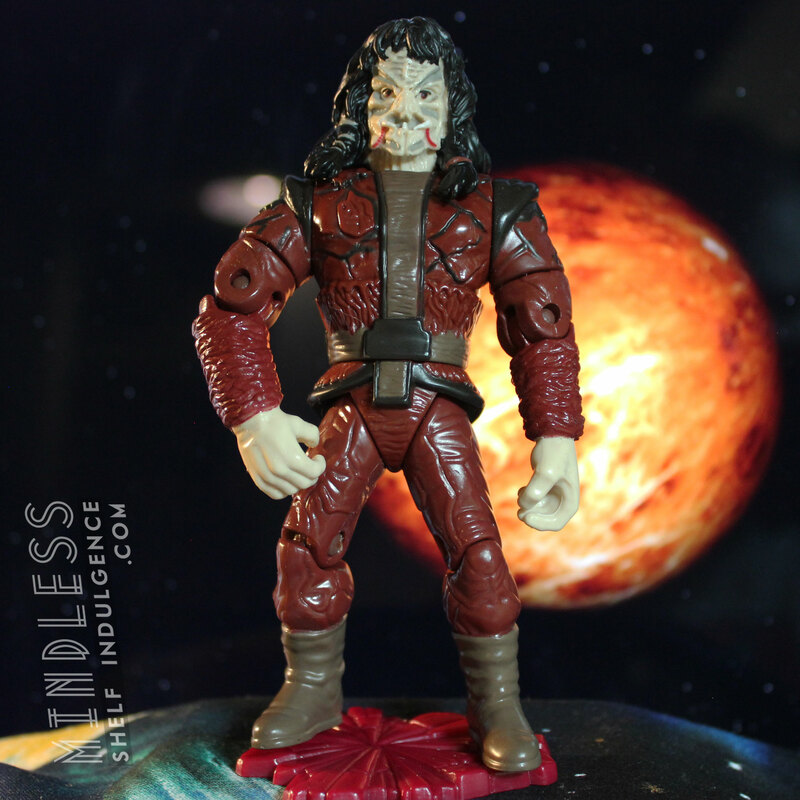 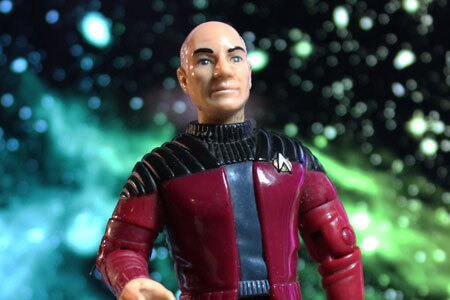 For whatever reason, Playmates thought that Gowron was so important that they released two 4.5″ figures of him, including one in Ritual Klingon Attire… but we never got a Kahless, or a Martok.